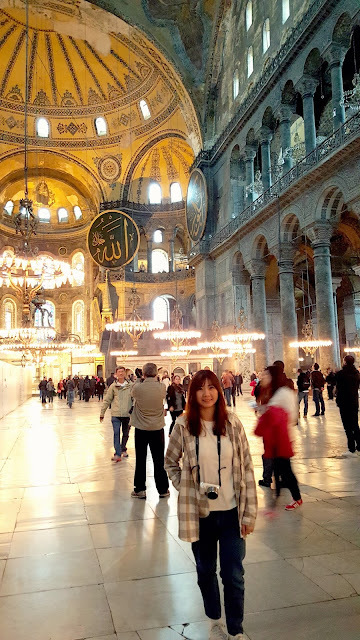 Finally, my Turkey travel post comes to the final destination, Istanbul. 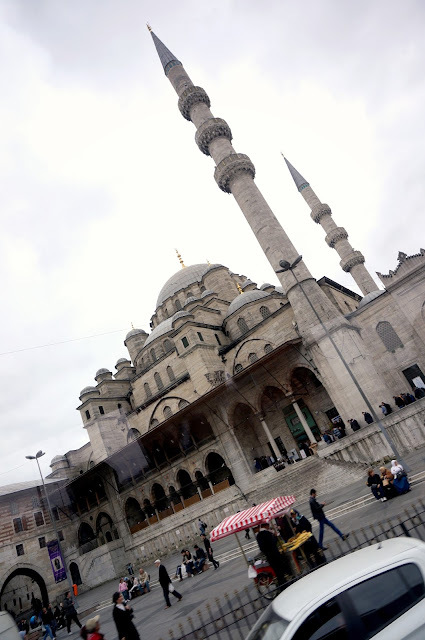 The movie gave me a strong thought about Turkey and also left me a very deep impression of how beautiful is Istanbul. 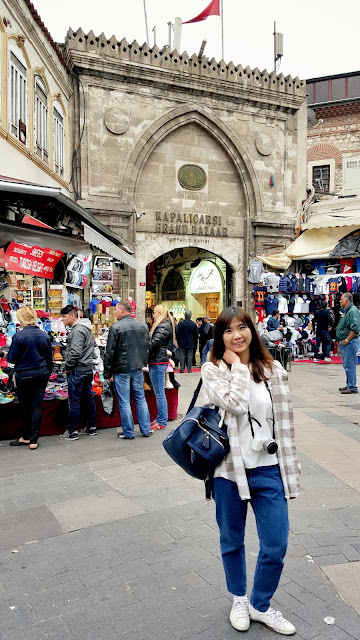 When I arrived at Istanbul, I was so excited to finally see the city with my own eyes. 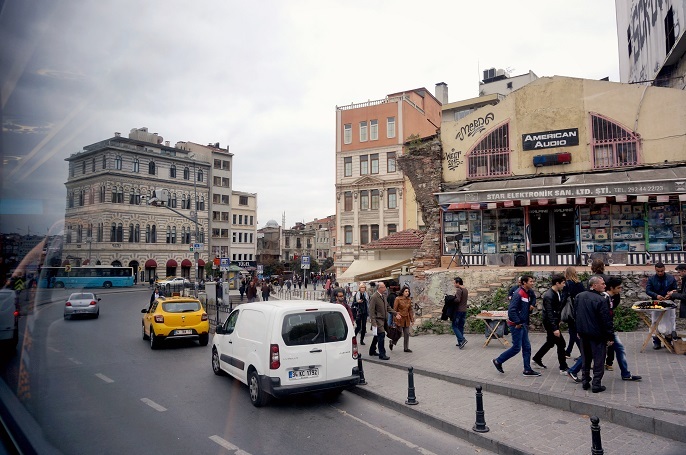 Th city combines the history of ancient architectures plus the modern and new buildings. Everything makes the city looks so interesting and so cool to find out more about it. 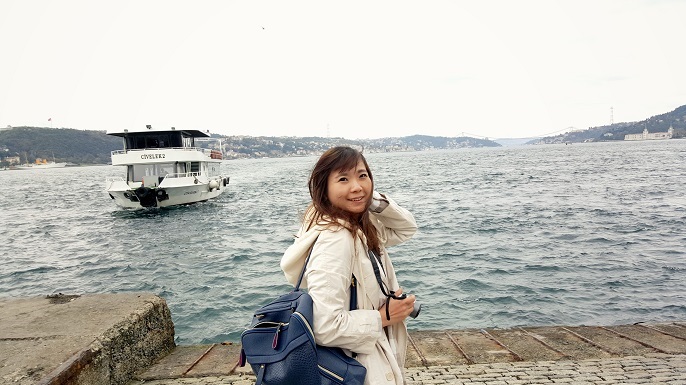 Istanbul is surrounded by water which straddling in between Europe and Asia. 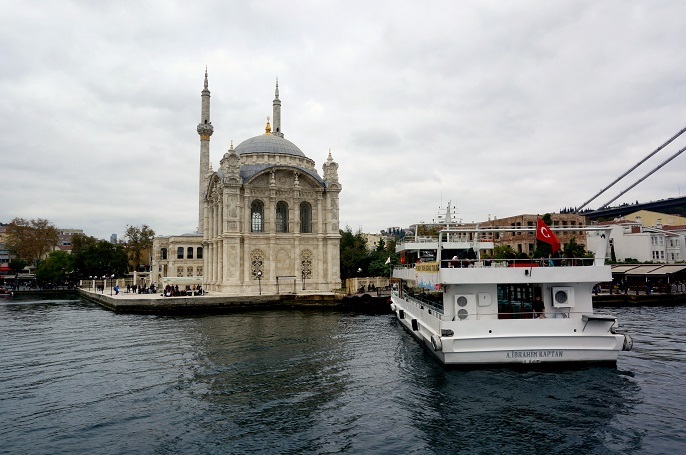 It's worth if you can cover your trip with the 45 minutes Bosporus Cruise on the water because you will get to have a rough idea of the whole city. 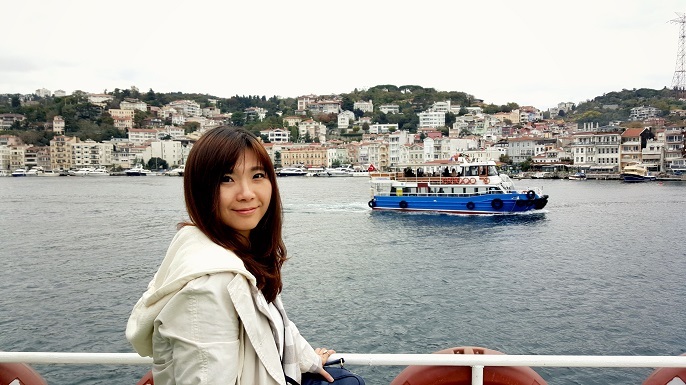 One of the important landmark to catch during the cruise trip is the Bosporus Bridge. This is a long bridge which connecting both Eastern Europe to Western Asia. You can snap a clear picture of the bridge and see the structure clearly while you crossing the bridge from one side to another side . Inside the cruise, they have a small cafeteria which provides some snacks and hot drinks. 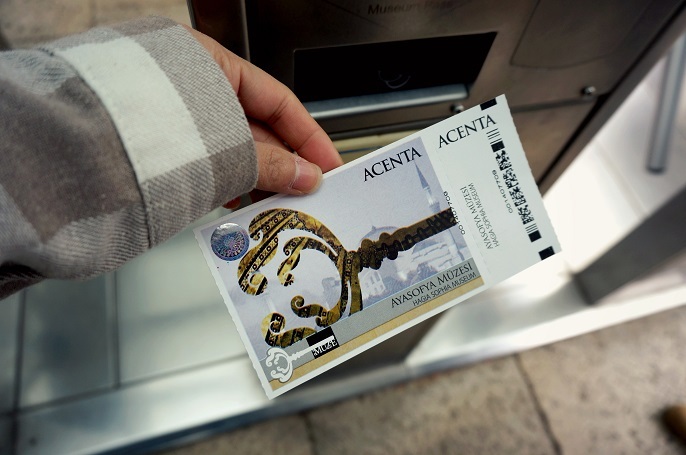 You can purchase from the counter and enjoy it at the upper deck while seeing the wonderful homes, palaces, hotels during the 45 minutes trip. Here are some beautiful pictures I captured on the ferry with my Sony Nex-5R camera. 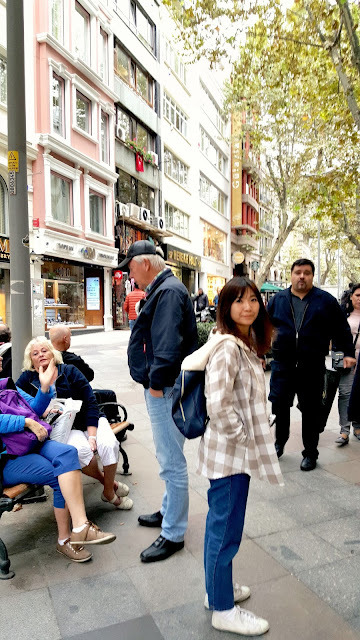 Overall, it's really a relaxing and beautiful experience sightseeing. 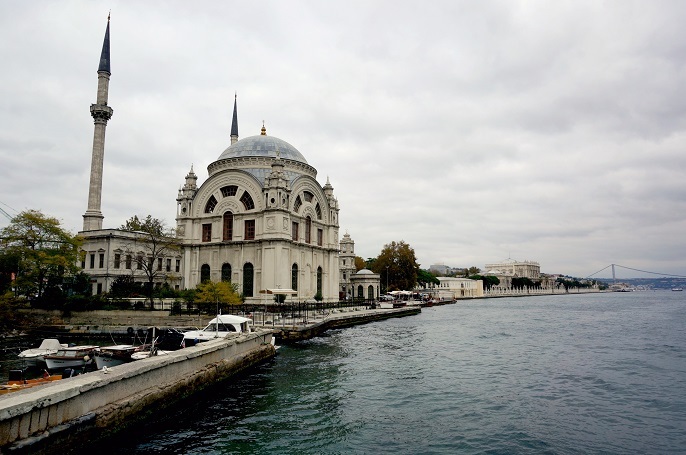 What makes the museum so famous is because it has been a church for 916 years, and then it converted into mosque after Turkish conquered the country. During our visit, the museum was under construction whereby there are few corners outside the building was a bit mess and dirty. 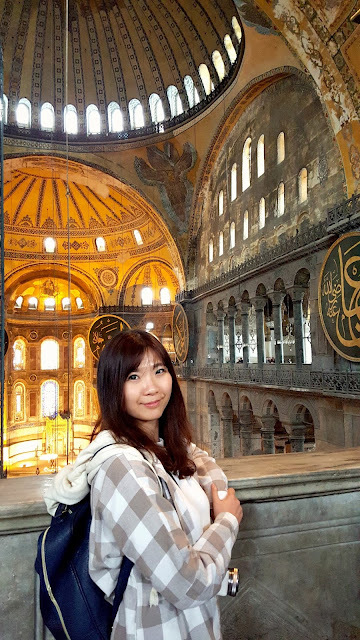 Look at the building from all different angles and you will find the stained glass window and decorated domes created an atmosphere of breathtaking beauty! Remember to take a trip at the second floor, and look down to the main body of the museum. You will then get to see how stunning and amazing the whole building is! 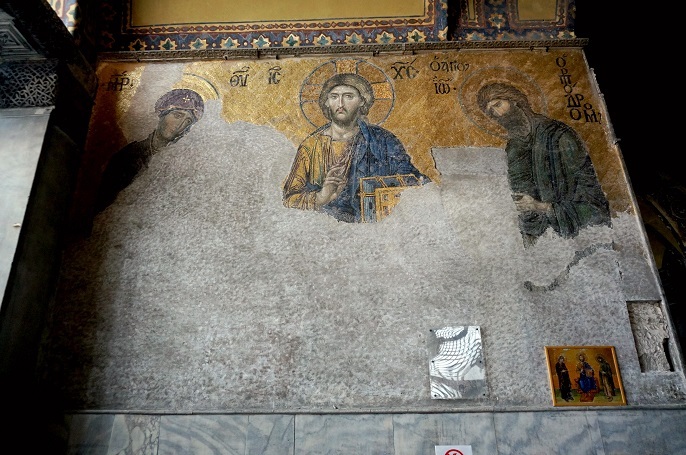 There are 4 pieces of the original mosaic panels at the second floor which thy still preserved since olden times till now. This is one of panels which they named it as Deisis since 13th century with Christ in the middle, John the Baptist on the right and Virgin Mary on the left. If you like historians, lovers of architecture or interested in religion, this would be a nice place for you to go around and explore. 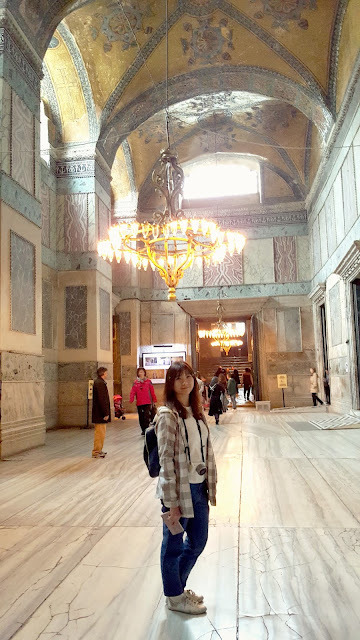 Although I am not a person who knows so well about religion and history, it's pretty interesting for me to see such a grand museum with it's fine and smooth construction. OH YEA! 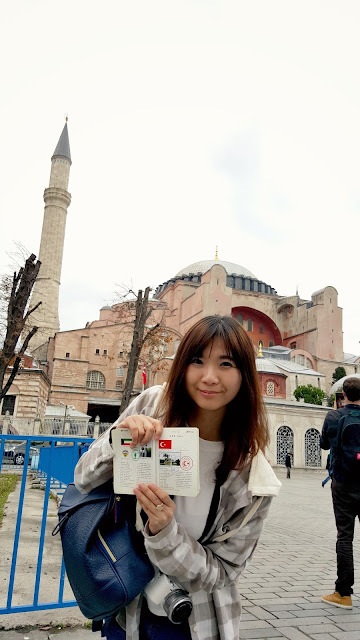 I have another destination sign on my traveler passport in front of the Saint Sophia Museum. Not sure if I mentioned this before, I have this travel passport since I traveled at the Window of the World in ShenZhen. 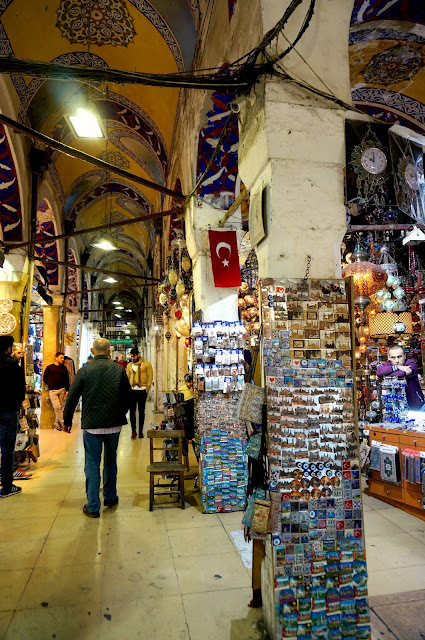 However, there is a nice and must visit market to go while you are in Turkey, which is the Grand Bazaar. 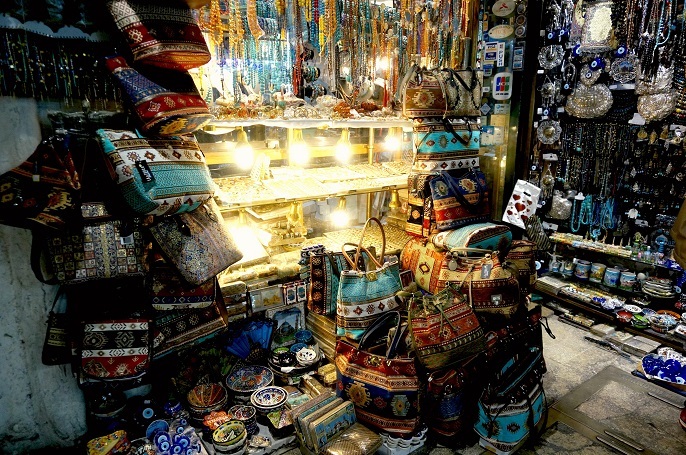 Grand Bazaar is the largest markets in the world with 60 streets and 5000 shops. 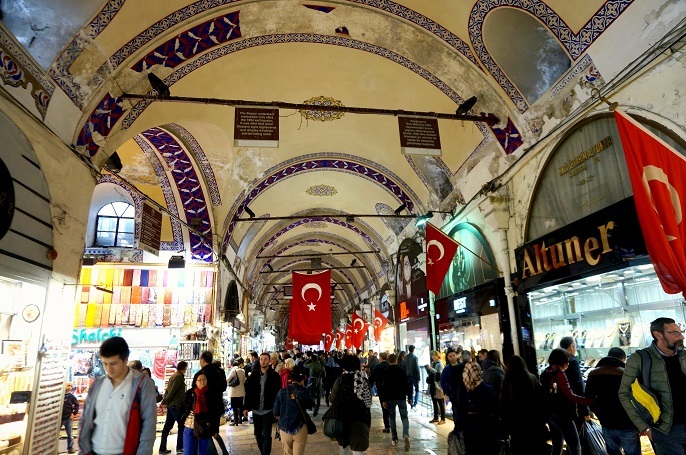 It's crowded everyday as this is one of the top attraction place in Turkey that attracts many visitors. It's really too big till I kind of lazy to walk the whole place since there are so many repeating stores selling the same goods. 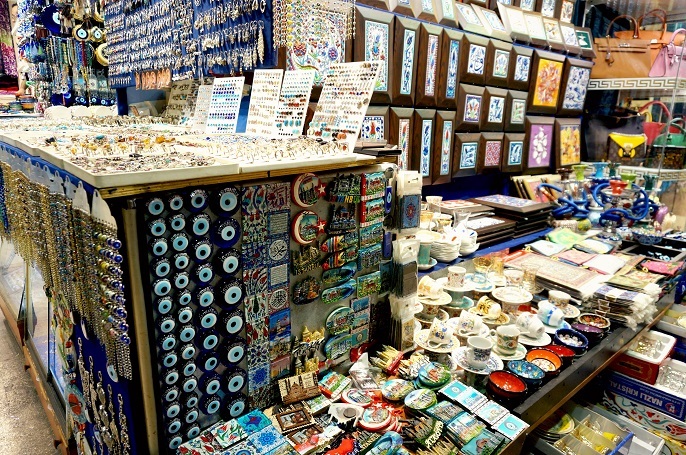 You can shop for the jewelries, handcrafts making like ceramics, handbags, carpets, local delights like tea, dried fruits, biscuits, souvenirs with magnets, postcards, key chains and many more. 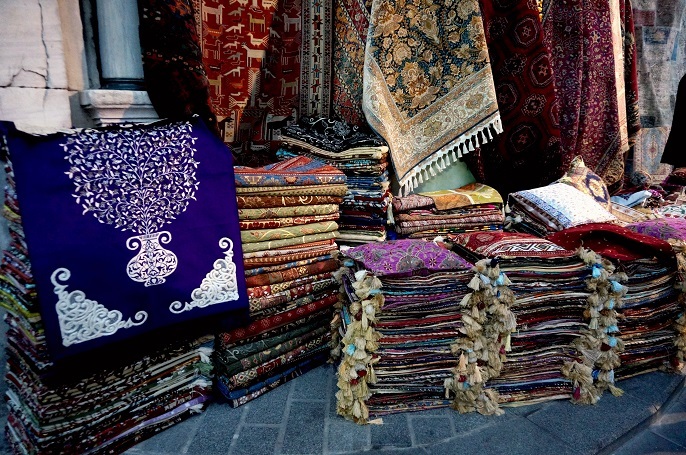 You are allow to bargain with the sellers to get the best offers! I got myself a handmade bag which cost me about RM100. 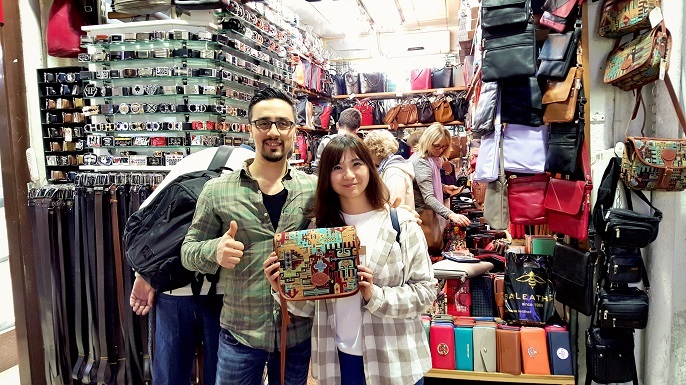 I have looked for few shop to compare the pricing and quality yet this shop (sorry I cannot remember the shop name) has the best price and quality after all. Besides, the staff in this picture is very nice and friendly to deal with. I was actually quite struggled if I should buy it since I already have so many handbags hanging in my room. 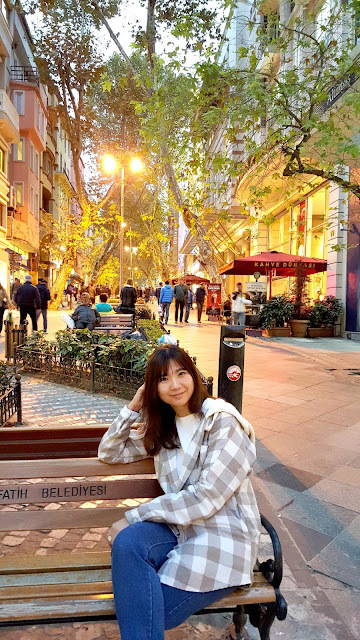 That's it for the first day in Istanbul and I will continue the second day and also my last post of my Turkey trip right after this.